Paul and Jeanne Shorland approached the Society for a mortgage with the view to convert the barn and stables at their home in Winterbourne, Gloucestershire, into living spaces for the use of their family. The mortgage product with esbs has enabled the couple to fund the project, and their home has tripled in size from a four to 12-bedroom property. Now, their daughter Amy, her partner Joel and their four children have moved into the converted stables, while their niece Caroline, her partner Dainton and their two children are living in the converted barn. “We originally purchased the house in an auction and moved in 22 years ago,” they explain. “We were really pleased with the quality of the service that we received from esbs, as we’d found that no one else was willing to treat us as individuals,” adds Jeanne. “We would always speak to the same person on the mortgage team and we built up a good relationship with them throughout the process. “This approach was much more personable than that we’ve received from bigger companies, where you’re passed from one person to the next and made to feel like just another number. The couple continue: “It’s absolutely lovely to have so much of our family around us. We’re all very close-knit, but with the extra living space that we now have it doesn’t feel like we’re living on top of one another. 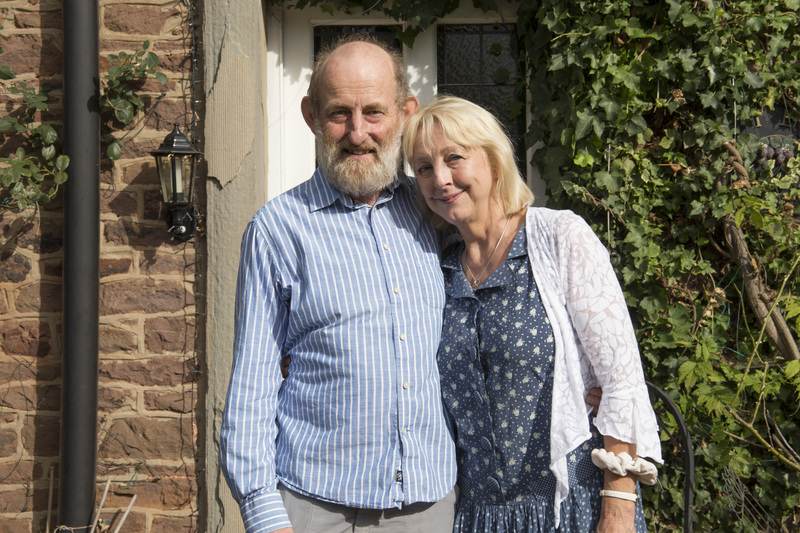 With most of the renovation works complete, Paul and Jeanne say that they now feel able to pursue the things in life that they enjoy the most. Jeanne says: “I’ve recently gotten back into painting, which was an interest of mine when I was younger and this brings me lots of pleasure and happiness. Richard Carson, Business Development and Marketing Manager for esbs, said: “We are thrilled to hear that Paul and Jeanne have succeeded in welcoming their family into their home thanks to the mortgage product they took out with the Society.